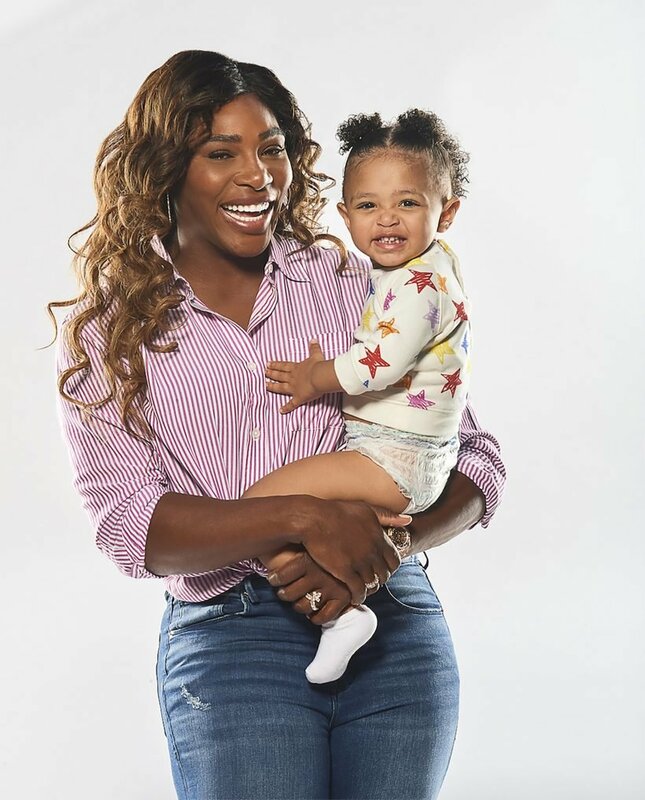 Serena Williams has a lot on her plate and becoming a mom has made things even busier, but there’s one thing she’s not willing to compromise on: time with her daughter Alexis Olympia. As Williams juggles motherhood with tennis, her clothing line and a flourishing entrepreneurial career, she has consistently made it clear that her top priority remains her 19-month-old baby girl, whom she welcomed with husband Alexis Ohanian on Sept. 1, 2017. And now, just five months away from Olympia’s second birthday, the 37-year-old tennis star tells PEOPLE exclusively that her perspective still hasn’t changed, despite facing challenges along the way. For the first-time mother, who recently partnered with Pampers to help launch their new Cruisers 360 FIT diapers, watching Olympia grow up has been both a blessing and a learning experience. Though Olympia may go through spurts of misbehaving like most toddlers, the athlete argues that the “Terrible Twos” aren’t all that terrible and explains why she actually sympathizes with her daughter during those outbursts. Sound Off! How Did You Manage Your Child’s Terrible Twos? This isn’t the first time that Williams has opened up about her incredibly close bond with her daughter. The mom of one previously revealed in July that she hadn’t spent a single day apart from Olympia since giving birth to her. The famed tennis champion also shared an adorable photo of a then-10-month-old Olympia sound asleep on her chest during a plane ride. Though Williams said she had spent every day with her baby girl, she admitted earlier that month that she missed one of Olympia’s biggest milestones. “She took her first steps … I was training and missed it,” the sports star wrote on Twitter, adding that she “cried” after learning the news. In February, the athlete and her husband threw their baby girl a carnival-themed backyard bash with farm animals. The soirée also included face painting, train rides, a working carousel and even a station dubbed “Olympia’s Candy Shop.” Meanwhile, the day’s soundtrack — Disney songs! — could be heard in video footage.